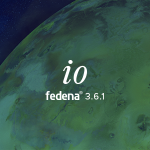 As 2017 draws to a close, Fedena 3.6.1 is also ready for release. The last major update from our labs this year is nicknamed – Io, after the natural satellite of Jupiter. 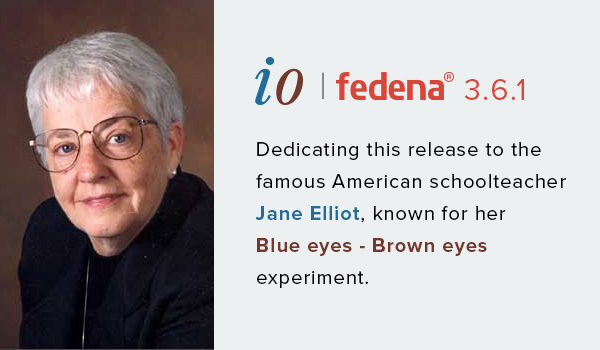 We are dedicating this release to Jane Elliott – who became known for the social experiment she did in her 3rd-grade classroom about 50 years ago. Later known as the Blue Eyes, Brown Eyes Experiment, Jane did this on her class of third graders in Riceville, Iowa, as a means to teach them about Martin Luther King Jr. who was assassinated. On the first day, she divided the class based on their eye colour as inferior or superior. The blue-eyed children were told they were inferior to their brown-eyed classmates. This meant the browns were given privileges over the blues like second helpings at lunch, extra five minutes at the lunch etc. Blue-eyed children were on the other hand prevented from even using the same water fountain as the superior group. She even reinforced this belief saying that the chemical melanin which was present more in the brown-eyed people made them more intelligent. The results surprised her. She noticed how the usually smart children started following behind in class and making mistakes on being told that they were inferior. The withdrawn brown-eyed children suddenly became more active, even imposing on the blue-eyed ones. This experiment was reversed the next Monday but this time the blue-eyed children did not become as nasty as the brown-eyed ones. This experiment brought her national attention from talk shows to editorials, with some praising her but many others who chastised her for conducting this on young children. She has even ostracized her from her community and school. This experiment has since been more widely accepted and used in many places around the world. Jane, now in her 80s, still conducts workshops on racism in education and workplaces. We at Fedena, dedicate this release to the trailblazer who brought racism and its impact especially on young minds to the national discourse. Multiple Receipt Number: This mode generates one receipt number for each collection in the transaction. 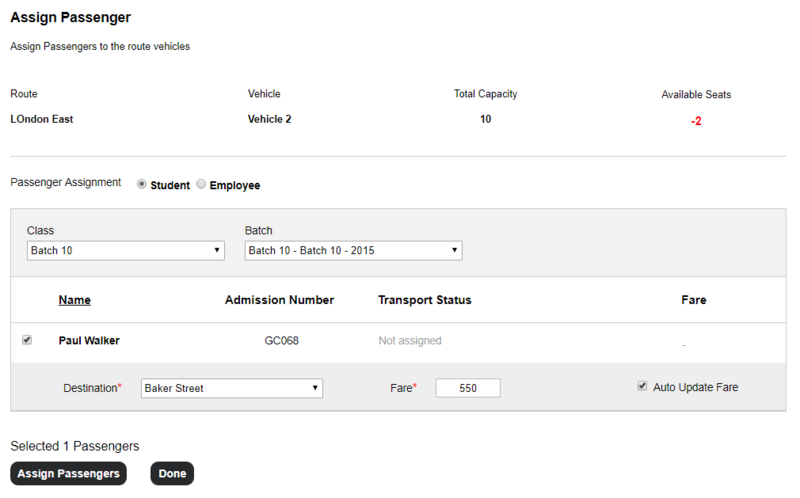 When transferring students from one batch to another, this new feature allows transfer of attendance to the new batch. Use this feature when the attendance records do not need to remain in the old batch, like when shuffling between batches of a class. 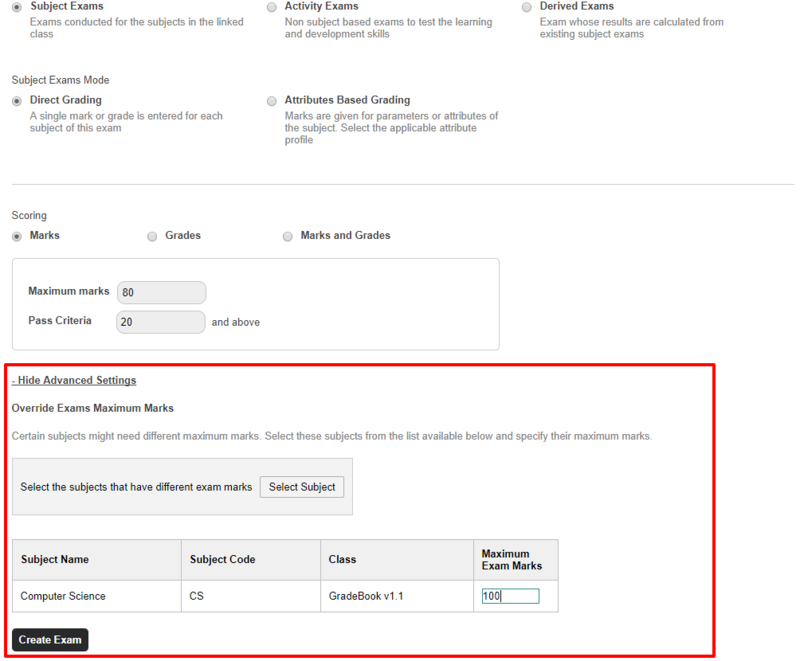 Gradebook now supports the option to change the maximum marks for individual subjects in an exam. Individual subject exams in a group can be skipped when needed and still be connected to the term exams. There are also important bug fixes and improvements. Term exam and derived exam results can be calculated even after skipping exams for some subjects. The new transport assignment page is designed to ease the way students are assigned to vehicles. Assignment now happens inside the vehicle page and shows all available users in the batch/department. This change allows users to assign and change routes for students and employees faster. 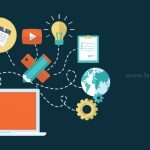 A better user interface is always led to the effective communication and encourage the enhanced engagement for the user. Keeping all these things in mind we have redesigned the UI of the news home page so that students find it more interactive and become adaptive of this module to acquire the institution updates additionally work on the readability factor also. This new change showcase the news items in a neat table in the homepage of the module. Custom Student Reports now have Father and Mother as two sections along with all parents and immediate contact. This will enable the taking of faster reports with father/mother details. Previous PostPrevious How school management system making institutes future ready?